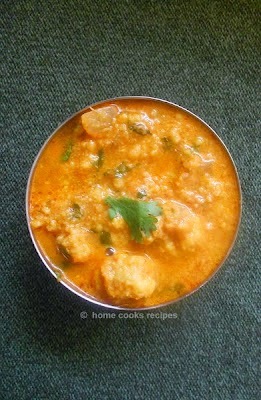 Mutta curry, i make this curry, when me or my hubby get cold. its because lots of pepper goes into this curry. 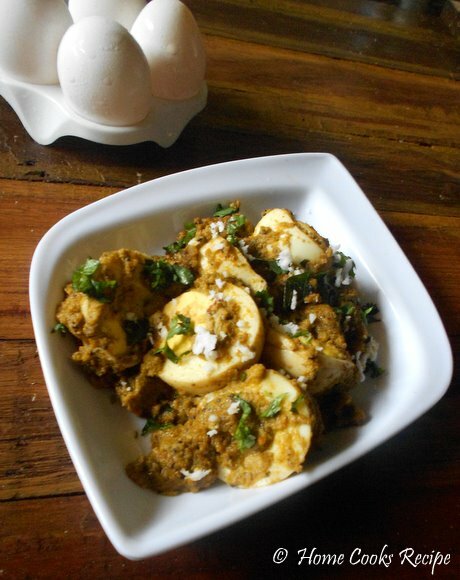 this is a simple yet delicious dry egg curry. 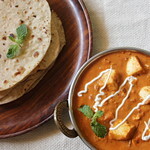 If you want to have a vegetarian version of this dish, you can make it with cauliflower or baby potatoes or with paneer. 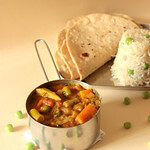 i even want to try this masala with cauliflower, i will try and post it soon here! Boil the egg and remove its shell. slice them into half and keep aside. Heat a small pan, add 1 tbsp of oil, add the small onions and fry till it turns translucent. add the tomatoes too and saute it for a minute. remove the onions and tomatoes to you mixer jar, add grated coconut, corriander leaves and pepper. add just 1 or 2 spoons of water and grind into a smooth and thick paste. Heat 1 tbsp oil in a pan, add mustard and let it pop, then add curry leaves and the gounded masala. saute the masala in oil for a minute in medium flame. add the egg's and wrap them with masala's. let it remain in medium flame for a minute and remove to the serving bowl. Garnish with chopped corriander leaves and grated coconut if you wish! 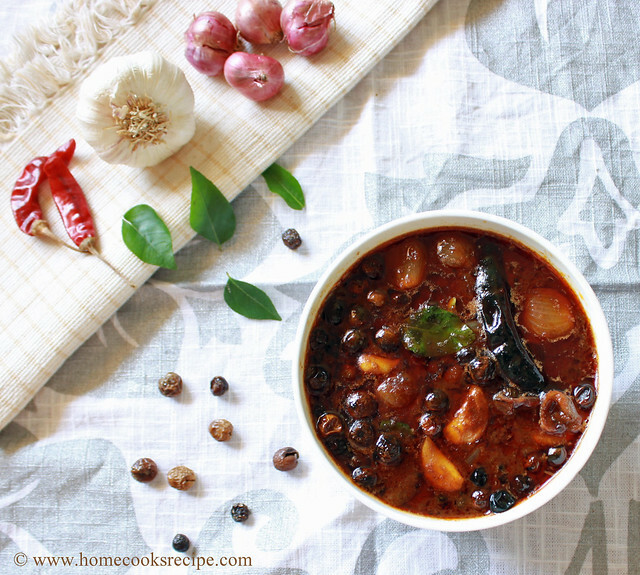 Serve with hot rice and rasam. it makes a delicious combo! Glad that your son is doing well now. Curry looks delicious! 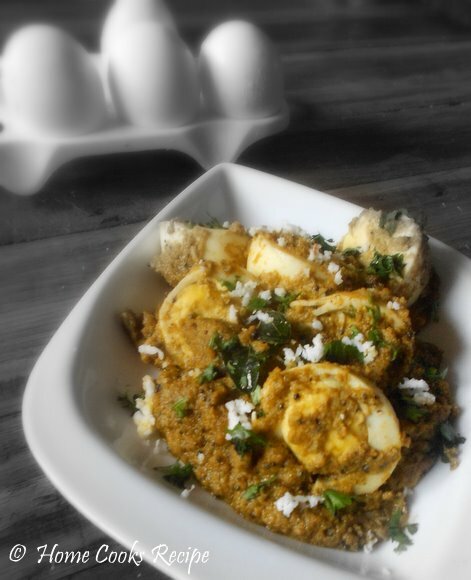 yummilicious and droolworthy egg curry. Thank god he is doing well, take care Lavi, curry looks excellent and yummy.